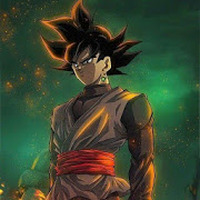 Dragon ball fondos - Dragon ball wallpaper - Tonos의 관련 카테고리: 안드로이드 앱, 만화, . Dragon ball fondos - Dragon ball wallpaper - Tonos의 자세한 설명을 원하신다면, 공식 개발자[Digiset]의 설명을 확인해주시기 바랍니다. 이곳을 클릭하시면 개발자의 설명 페이지로 이동합니다. 설치 요건: 최소 메모리 공간 8,3M 및 안드로이드 4.0.3이상. Dragon ball fondos - Dragon ball wallpaper - Tonos 앱이 마음에 드시나요?